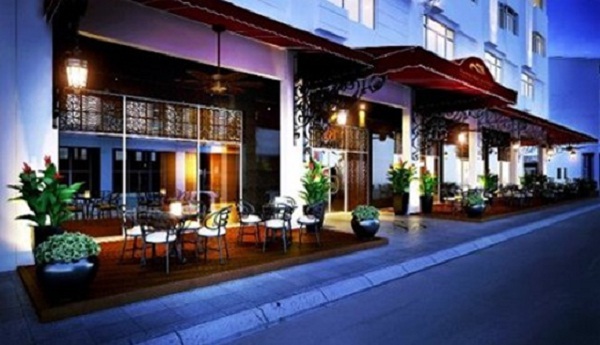 Indochina Sails Halong Bay is a 4 stars hotel with extremely beautiful location for panoramic views of Halong Bay through the door. The entire hotel is equipped with classic wooden furniture, giving visitors a sense of closeness to nature but no less luxurious. Au Co Yacht is located at Bai Chay, Ha Long. It creates a new concept of security and the level of fleet activity on Halong Bay. 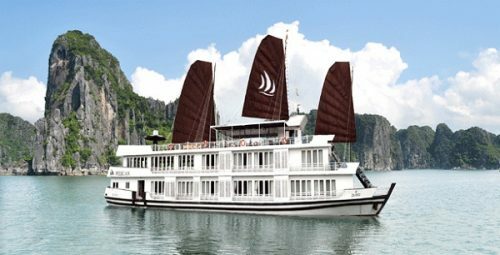 With its impressive steel casing gives visitors a sense of refinement and luxury that most can not find in the other boat on Halong Bay. Each yacht has 32 spacious rooms, comfortable, each room has a private balcony completely dominated guests can enjoy the stunning panorama of Halong Bay. Upstairs is a restaurant and bar with an open space, very suitable feng shui, help guests make the most of the space harmony with nature and the landscape outside, enjoy the spectacular beauty of the bay from the The most comfortable and relaxed traditional Vietnam. 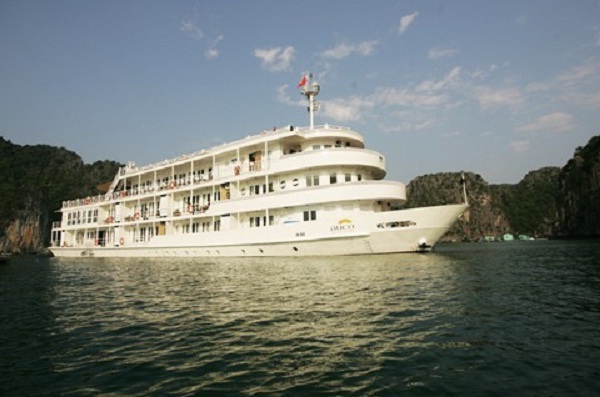 Halong Paradise Luxury offers flights relaxing cruises along Halong Bay. Designed in the style of a traditional junk one of Vietnam, it features a spa, sauna and jacuzzi. Each air-conditioned cabin in Paradise Luxury Ha Long are furnished with dark wood with sweeping views of the sea. A DVD player and flat screen TV with cable channels are also equipped. Some rooms have a balcony or terrace with sun beds. You can enjoy activities such as kayaking, squid fishing and snorkelling from the sea trip. A beauty salon, library and board games are also available. Other activities offered are Tai Chi lessons and movie nights. Furthermore, you can enjoy international buffets and Asia on board. A selection of wine and cigars are available at the bar on board.